What’s The Most Beautiful Color Ever Offered On A Car? Just like an awful color can turn you off a gorgeous car, so too can a beautiful one enhance a vehicle's appeal. British Racing Greens all share the same name but vary widely in execution. 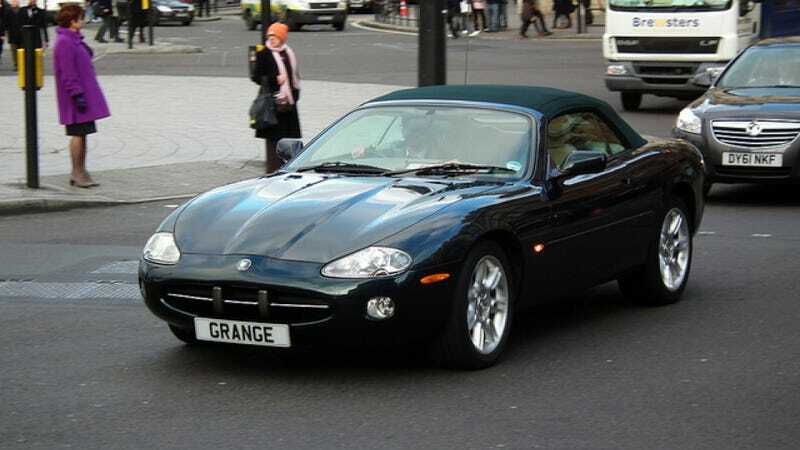 They can be a flat, almost bright green to the dark and metallic forest green of the 2003 Jaguar XK, which for me perfects the pigment. Green isn't something you see on every fourth car, but in a dark shade like this also isn't obvious or flashy. It's understated and elegant, without being cheap or commonplace. And it certainly doesn't hurt that the car is a timeless beauty, and the color complements its shape and details perfectly. Is Jaguar's interpretation of British Racing Green the best color you can get on a car? Agree or disagree, give us your opinion in the comments section..